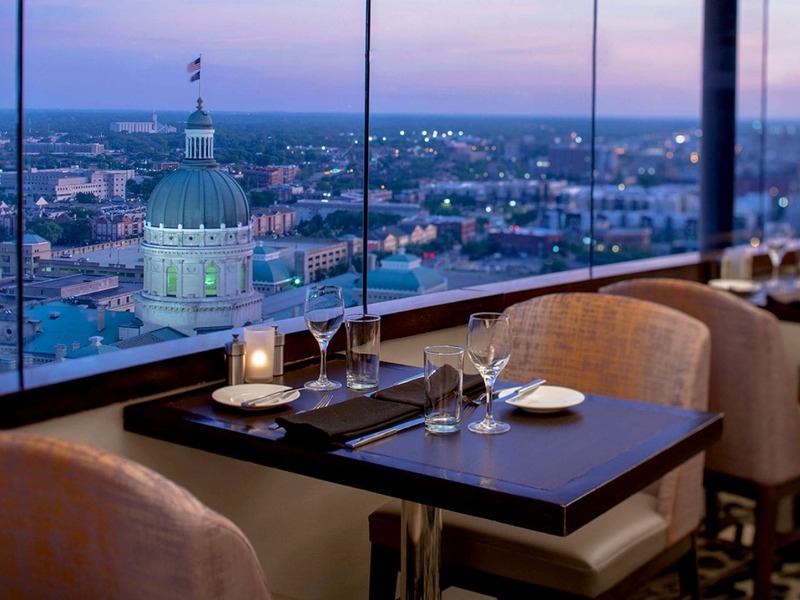 Savor fresh, farm-to-table cuisine at Fat Rooster diner or dine at The Eagle’s Nest and enjoy panoramic views from our revolving, rooftop restaurant in Indianapolis. Sip artisan martinis, signature cocktails, world-class wines, beer on tap, and shared plates at Level One, our upscale hotel lounge. 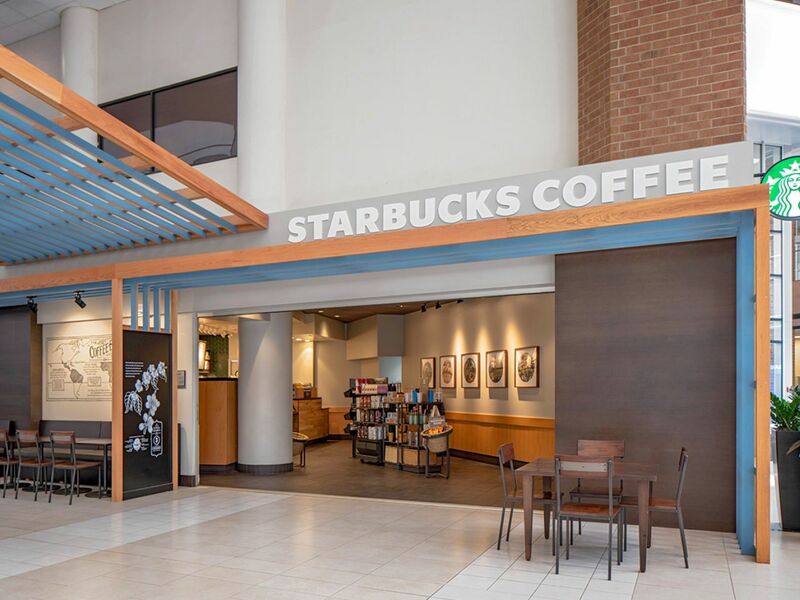 Then wake to the aromas of fresh-brewed coffee at our Starbucks® Coffee Shop in the lobby. 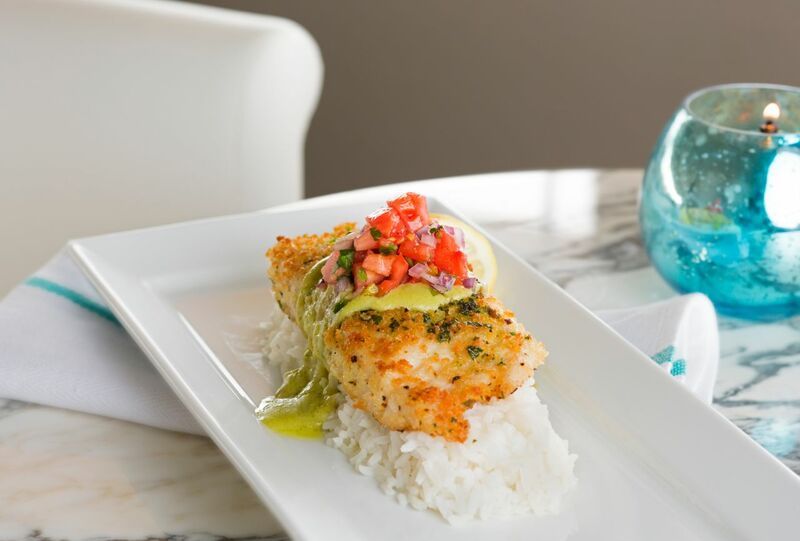 If you are looking to dine in privacy, room service will bring a delectable meal right to your door. Dine on classic American cuisine made from the freshest local ingredients while enjoying captivating panoramic views at The Eagle’s Nest. 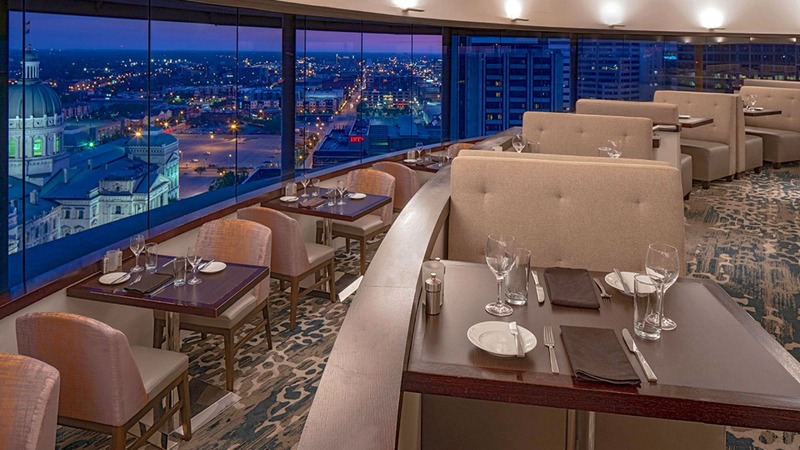 Enjoy romantic rooftop dining at the only revolving restaurant in Indianapolis and indulge all of your senses with a 360° view of the downtown skyline. If you’re planning a private party or special event, The Eagle’s Nest is the ideal setting for hosting your special gathering and entertaining guests. 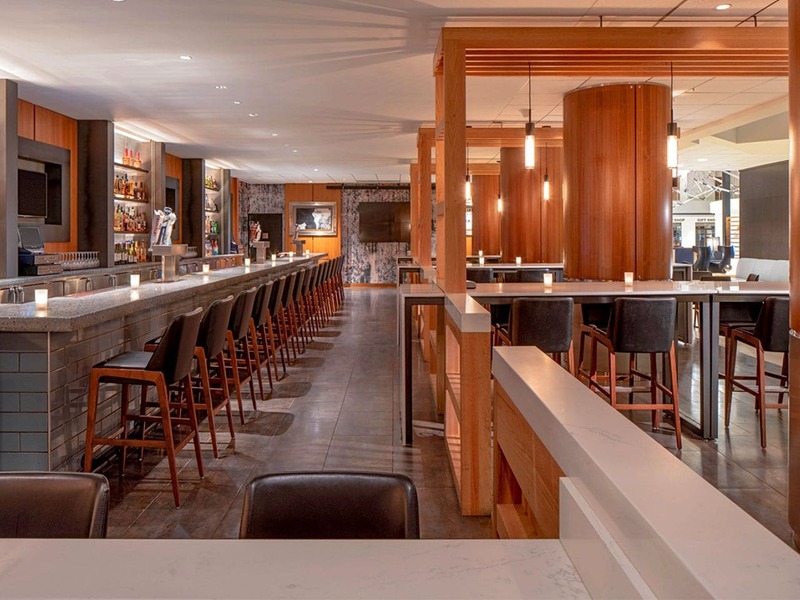 Savor upscale martinis and appetizers in a trendy, chic atmosphere at Level One. Sink into the comfort of lounge area seating with multiple plasma televisions, or grab a signature martini and take a seat at the bar, Level One is the ultimate place to see and be seen in downtown Indianapolis. Designed as an urban oasis, Level One at Hyatt Regency Indianapolis features a savory menu that offers a variety of traditional appetizers with an upscale twist, signature cocktails, draft beer, wines of the world, and engaging nightlife. 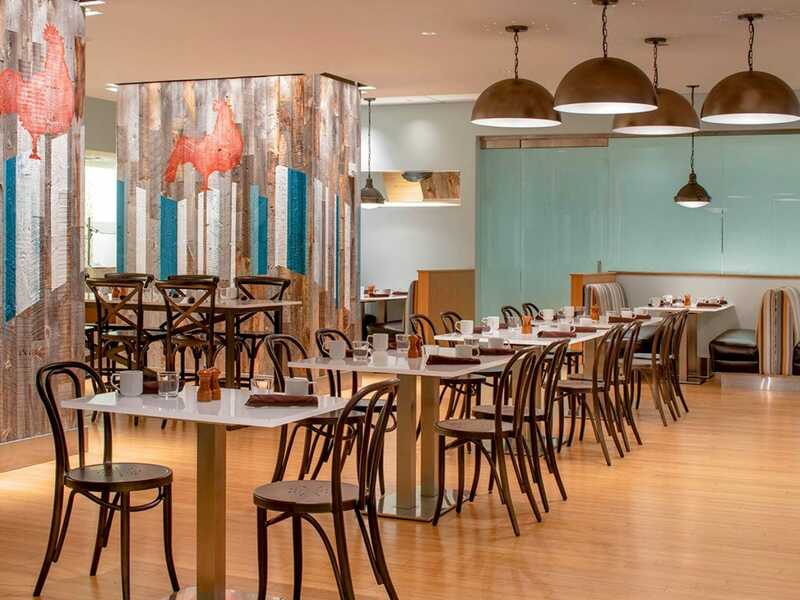 Hyatt Regency Indianapolis’s newest concept, fat Rooster diner offers freshly-sourced farm to table dining with a casual diner feel. Focused on sourcing the best local Indiana ingredients, our chef-driven menu highlights our modern take on classic Midwest diner fare. Savor food with an emphasis on locally sourced ingredients and a dedication to quality. Here, food is prepared without pretense to both excite and inspire, crafted from a team of proud Hoosiers who have a deep passion for cooking local. Elevating comfort food to new heights, from artisan sandwiches and flatbreads to daily-made soups, individual casseroles and scratch pies, fat Rooster diner offers a refreshing soil to city culinary experience inspired by the Midwest. Follow the aroma of your favorite morning brew to our Starbucks® Coffee Shop conveniently located on the lobby level. Start your day with a latte and bagel, or “perk up” with a mid-day energy boost. From early morning to mid-day, there is nothing like a fresh, hot cup of java to get you going or to rejuvenate you. Monday to Friday: 6:00 a.m. to 4:00 p.m. Please call (317) 632-1234 Ext. 54 to order. From a guest room telephone, dial 54 to place your order.